Everything Is Malleable In Shakey Graves' 'Can't Wake Up' Alejandro Rose-Garcia forgoes his boot-stomping, cheeky folk for a sound that fluctuates between finely-tuned rock and full-band pop. 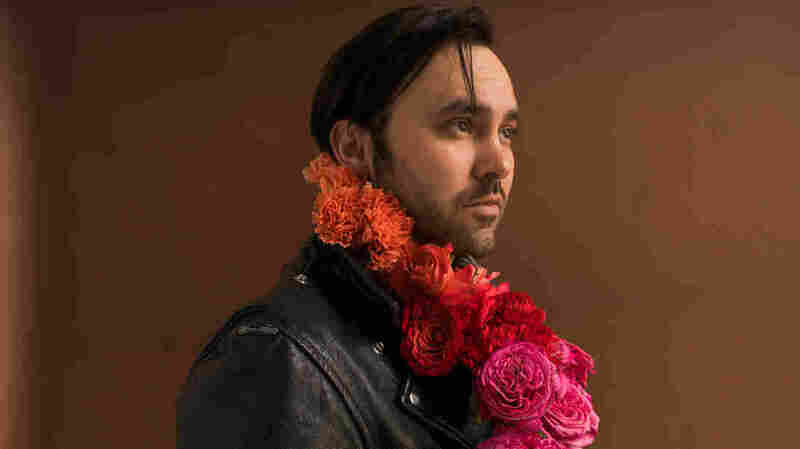 Texas singer-songwriter Alejandro Rose-Garcia, who performs under the moniker Shakey Graves, is known for twangy, blues-rooted Americana that charms your socks off, the kind fit for dancing barefoot on a back porch in the southern heat. On Can't Wake Up, his fifth album, he gambles with the very formula that brought him fame. Armed with new instruments and a lifetime of dreams, he forgoes his boot-stomping, cheeky folk for a sound that fluctuates between finely-tuned rock and full-band pop. Alejandro Rose-Garcia pulls it off in large part due to his storytelling prowess; these songs would be welcoming, even enthralling, in any style. Last December, Rose-Garcia took to Twitter to hint at the change: "Next album. New sound. Sell your suspenders." While the message is apt in that straightforward folk is nowhere to be found on Can't Wake Up, it's best to keep the suspenders on for support given the amount of trekking through new soundscapes. It's a dense listen — Rose-Garcia describes life lessons he's learned over the years and filters it through the hecticness and slight apprehension of films like Fantasia, Snow White and The Wizard of Oz — but it floats like a dream. The album's dioramic artwork depicts Rose-Garcia in a ghost town, enrobed in purple and a dazed expression, walking between vibrant violet and magenta plexiglass plates. Above, a human face peers through the clouds, curious as to what could happen next. It's safe to say Rose-Garcia is both the voyager and the bystander here, and Can't Wake Up alternates between the points of view. As a freshly minted 30-year-old, Rose-Garcia has accumulated a surplus of memories; he dug as far back as high school to pen those that appear on the album. He's mining for moods and moments, not people or particulars. By utilizing this open-ended storytelling, Rose-Garcia taps into powerful feelings: the specific aching brought on by sleepless nights of lovesickness, the stubborn denial of continuing to use selfish excuses, the humanitarian curiosity that arises when comparing your neighbor's lifestyle to your own. In the album's most despondent number, "Tin Man," his final words hang with the asteism of someone who missed the chance to advise his younger self: "Day by day, if the posted limit you obey / Then the biggest shot in your life / Will be dressed with salt and lime." It's the way Rose-Garcia delivers these sentiments that illuminates Can't Wake Up. He's evolved from a campfire storyteller into a songwriter armed with a full band, and the rich instrumentation clouds around his lyrics like Broadway set designs: "Aibohphobia" walks through a kitschy, old-timey cartoon thanks to a Mellotron; the use of a retro Optigan makes "Climb on the Cross" sound like it's playing through a boombox on the beach; "Dining Alone" dances through the countryside with slide guitar and backup vocals by alt-country musician Rayland Baxter (he also joins on guitar elsewhere). Perhaps the biggest trick is how Rose-Garcia's vocals use slightly out-of-sync double tracking for a dreamy, disillusioned feeling, as if you, too, aren't quite sure of what you're witnessing in these memories. If Shakey Graves used to wax Disney covers as if performing in a barn, now he's modifying his delivery for theatre stages. There's no point in letting vibrant props go to waste, and indeed, Can't Wake Up seizes every opportunity to get lost in the music. Listen closely to the one-two punch of kick drum-heavy "Cops and Robbers" and 1990s ode "Mansion Door." Though they're dazzled up in dreams and electric guitar, this is the same Shakey Graves that captured hearts with his debut seven years ago. When creativity and charm are ingrained in your DNA, everything else is malleable.